Izhaan Mirza Malik's first pictures are going viral. 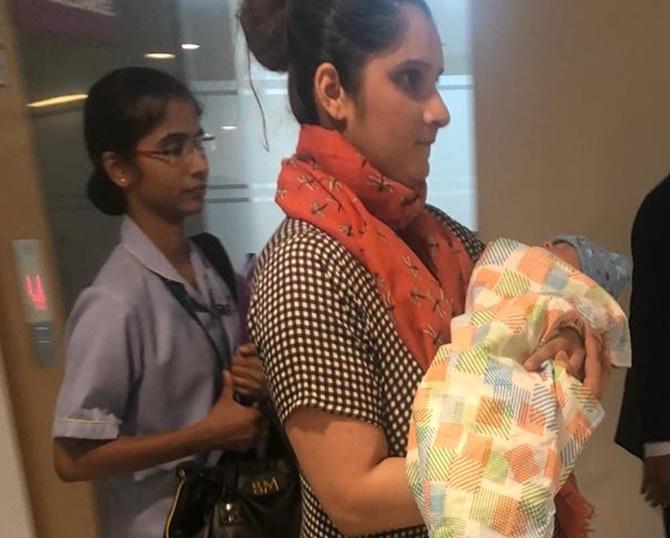 Izhaan is tennis sensation Sania Mirza and Pakistani cricketer Shoaib Malik's first born. 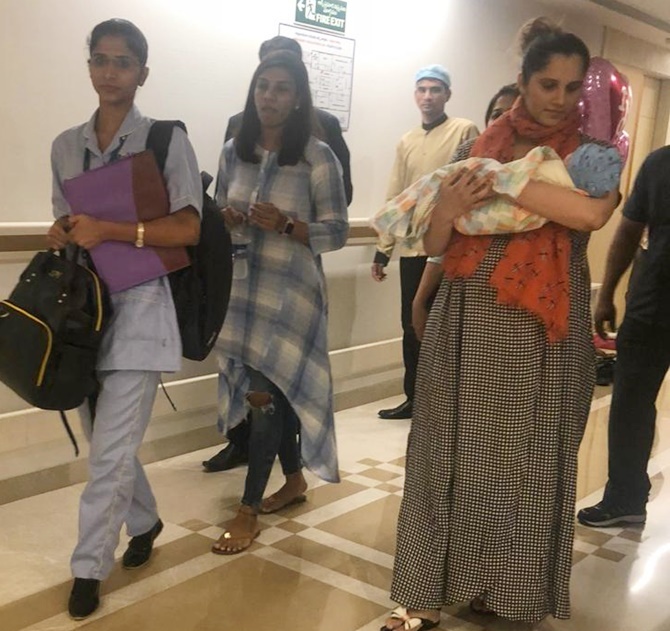 Sania -- dressed in a checked maxi -- was spotted leaving the Hyderabad hospital with her baby. 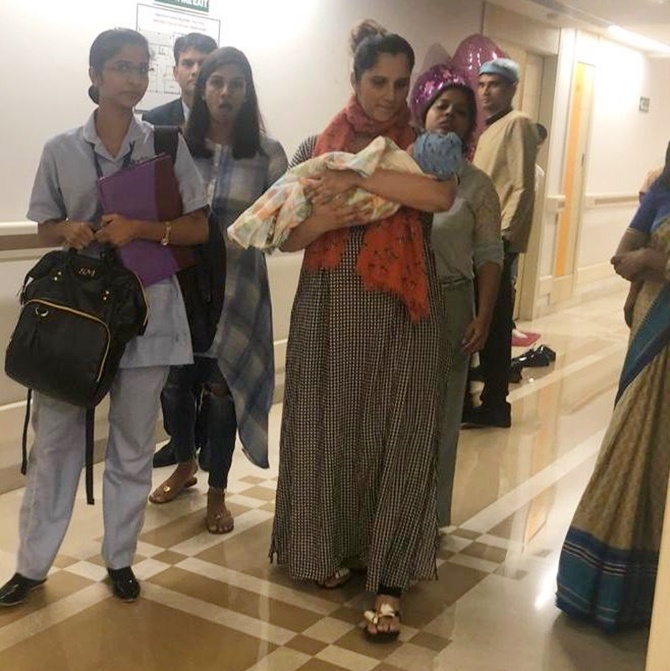 Izhaan carefully tucked in Sania's arms, wrapped in a yellow blanket. Izhaan was born on October 30, a fortnight before his mum's 32nd birthday. Izhaan is God's gift in Arabic.